To mark this 40th season milestone, we needed the announcement to be BIG, unusual, and of course, economically viable. 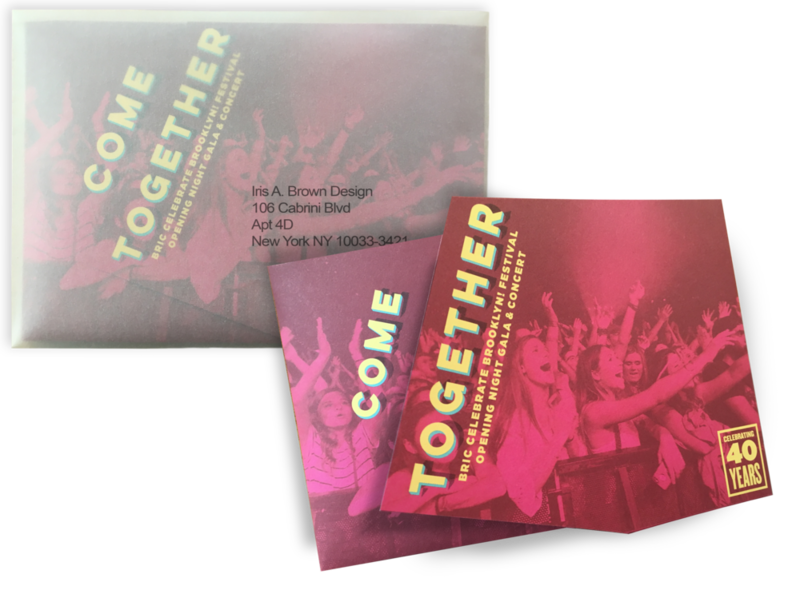 Our solution was this origami-like, interactive design, that not only captured your attention, but spoke to the Festival’s high energy engagement with the Brooklyn community. The overwhelmingly positive response proved us right. Celebrate Brooklyn! is one of New York City's longest running, free, outdoor performing arts festivals. Launched in 1979 as a catalyst for a Brooklyn performing arts scene and to bring people back into Prospect Park after years of neglect, Celebrate Brooklyn! was an early anchor in the park's revitalization and has become one of the city's foremost summer cultural attractions.